This short piece deals with our ability and need to be useful as STS researchers. In particularly it deals with a common dilemma about how to consider the utility of either our research, or the particular skills we develop. This dilemma is particularly relevant for early career researchers and thus reflects on the Pre Conference Doctoral Workshop – ‘Invent Your Job’, the Panel I organised – ‘What do we still not know about the IPCC?’, and also for me personally in my position as a PhD researcher working on the science-policy interface. It does this to consider my place both in the broader field of STS and society at large. 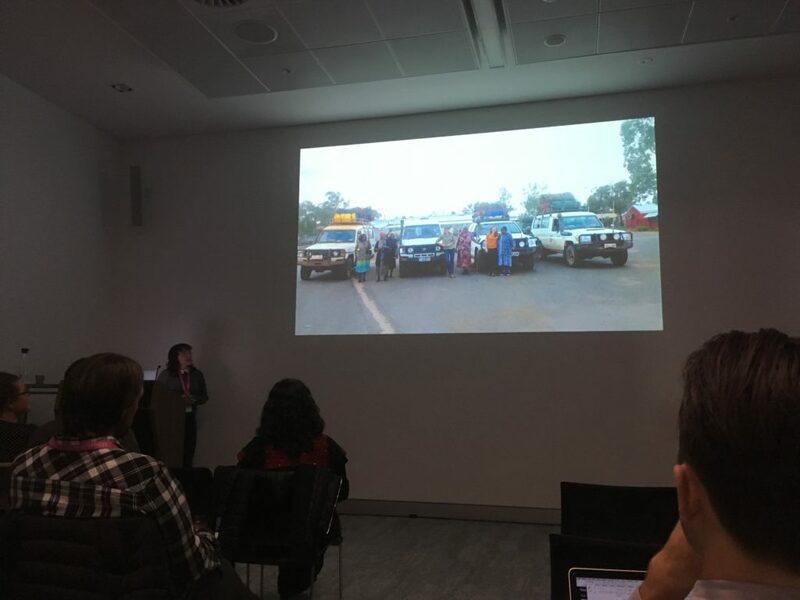 What follows is not a reflection on a specific event during the conference, but rather brings together some strains of thought and discussions that I had throughout the conference, to connect with an ongoing dilemma that I have as a PhD researcher. As my research deals with science-policy interactions, in international climate change politics, it does away with simplistic linkages between science and policy in line with STS approaches. It recognises that science is not ‘used’, simply ‘taken up’ and absorbed by policy. Indeed, where it has utility, this utility is based on social processes of validation, trust, and negotiation, rather than on scientific merits alone – in the words of Jasanoff (2004), it is co-produced. As a researcher therefore, I continually find myself in a dilemma about how to present the utility of my science, or my contribution, and its place in society – in particular how answerable we should be to the funders of our research. This question relates to our place as academics in society, and more specifically as a personal dilemma for me undertaking my PhD in environmental science, which means that I work in an environment where the utility of research is expected and encouraged. More generally as a doctoral student nearing the end of their PhD of course the question of utility also evolve around consideration of the future job market. I attended the Pre-Conference doctoral workshop, which encouraged us to think about how we could be creative about the jobs of the future. Thinking not just about what jobs we would like to do, but also how we could potentially create the ideal job for ourselves. Bringing many current doctoral students, and recent graduates into contact to talk about these questions was stimulating and interesting. 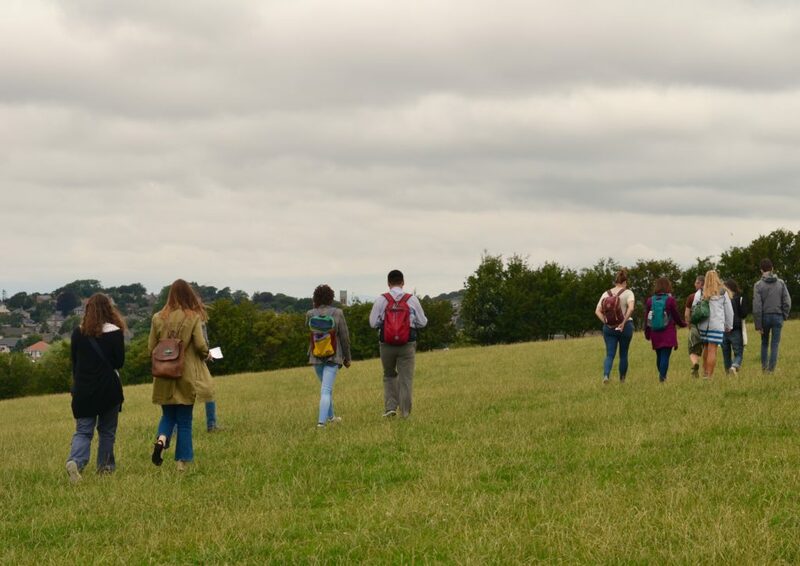 For the first part of the workshop we partook in walking discussions, walking from Campus to Lancaster centre. The walking discussions involved both discussing STS concepts that we, and others, were using in our research, and what our plans for the future were. Walking in the fields, listening to the birds, and connecting with the land juxtaposed nicely with discussions about the stress of finishing your PhD, and the concerns and uncertainties of the future. The future is uncertain for many recent and future PhD graduates, most of us at the workshop were not yet sure if we wanted to stay in academia, or attempt to forge our paths outside. Is this a dilemma about our usefulness and utility in the so called ‘real world’? One theme that emerged was the conflict between academic accolades and those that are valued by society. As STS scholars, we are often engaged in very concrete and applied subjects and cases, but yet at the same time enjoy getting lost in concepts and theoretical terms, which disconnects us from the systems, groups, and individuals that we study. At this workshop it was easy to find ourselves again getting lost in idealistic and entirely hypothetical situations – for instance we created a new government department, entirely focused on doing things otherwise, and disruption from within. Whilst fun and creative this also highlights the challenges of thinking about our utility in the current way that society is set up. The verdict that I took away from the workshop is that while academic studies in STS prepare us very well for the weird and wonderful, they are challenging to translate to real world situations. Despite this feeling of slight pessimism about the utility of my work, and the ability to connect and explain, particularly our theoretical approaches to those outside academia (or even my colleages in different fields), I think that as STS researchers we have many skills and attributes that connect us intrinsically to the unique challenges we are currently experiencing politically and socially, across the globe. 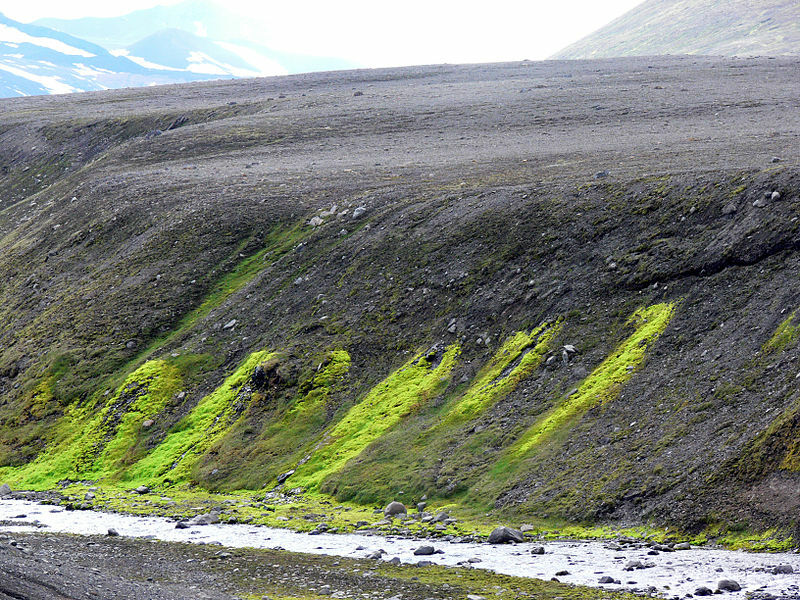 This was highlighted very clearly in our panel – What do we still not know about the IPCC? – which dealt with how the Intergovernmental Panel on Climate Change is being approached as a research site 30 years on from its inception in 1988. Here discussions surrounding the role of expertise, of social inquiry into scientific processes, and understanding science-politics relationships were central. 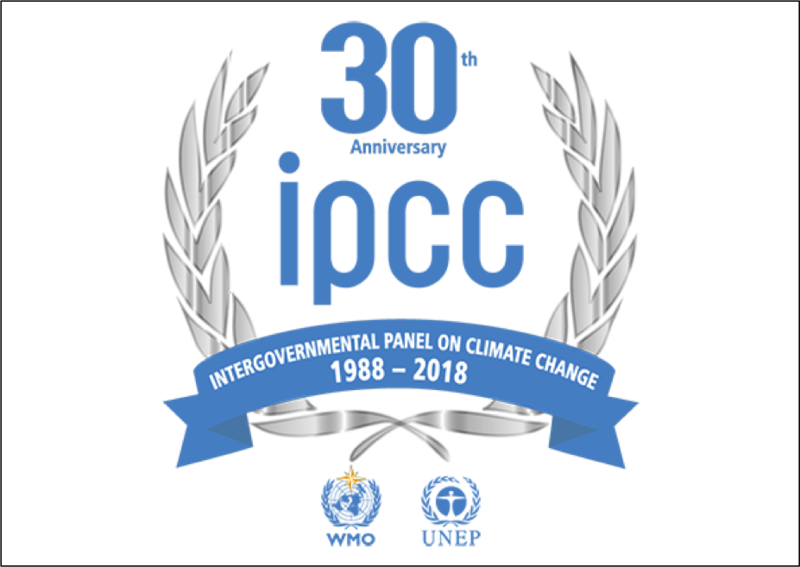 As the IPCC has been around for a long time, it has been subject to much critique, debate, and improvement over the years. In turn backlash against such critique is also common, particularly from those involved who believe in science’s ability to speak truth to power and see critical accounts as being detrimental to the authority that science has developed. As a result of this, the IPCC’s situation in a Post-truth world, is something that is worth considering, particularly from an STS perspective, and something that we as scholars of science and technology have something to contribute to. The role of experts of all sorts are under fire, and a debate over whether STS contributes to this climate of scepticism has ensued (Collins, Evans, & Weinel, 2017; Lynch, 2017; Sismondo, 2017). Thus, the ‘usefulness’ of knowledge – be that the knowledge produced by an international panel of climate change experts, or the knowledge produced in a doctoral dissertation which studies this – is once again at the centre of investigation. This brings me back to the question of the utility of my PhD research, or how to consider the utility of our STS education outside of the academic field. My location within an environmental science department means making use of STS approaches are not easy, as my deconstructive approach is often taken as criticism without any suggestion of improvement. Following my time at EASST, and the discussions that I had with individuals at the pre-conference doctoral workshop, and our panel, I was inspired to hear about other environments where STS researchers and predominantly natural scientists work more closely together. I could see that these kind of environments require careful planning and thought, rather than taking the form of an add on, but if done right they really contribute to a feeling of utility on the part of the STS researcher. The dilemma I have presented is a personal one, but I also feel that there are implications for the field of STS particularly through a need to help and encourage young researchers to foster their sense of relevance in a broader field – both within academia and outside. In turn, this is a dilemma about the role of research in politics, and indeed society more broadly, and our place as researchers within this. Inventing your job is a difficult but not an impossible task. There are ideas by others, that you can join or take the effort of shaping your own ideas to a degree that you can convince and motivate others to join you. There are role models who have successfully constructed their own unconventional job and could help as an inspiration. However, getting engaged in existing structures by communicating STS sensibilities outside of academia could be one first step. „Invent Your Job!“ — I could not think of a more challenging calling to start into some conference days. Besides the last-minute preparation of my own talk and studying the conference’s program I started the EASST Conference days in Lancaster with the most pressing question — what am I doing after my PhD? The organizers of this pre-conference doctoral workshop made it even more complicated by asking: how could STS knowledge, sensibilities and practices be translated into existing job qualifications outside of academia or — vice versa — how could we design the spaces ourselves that make place for these STS capacities. Spoiler alert: These questions were not answered in the workshop nor am I presenting any results in my afterthoughts either. But I got — at least — some perspectives where one could keep on searching for answers. The organizers offered a set of unconventional settings for exchanging „wild ideas“ about discovering or inventing jobs in unknown terrain: We visited a time-honoured castle with a panoramic view to the North Sea, had sandwiches in a theater, hiked along bumpy meadows and climbed over several fences. During this hike in the English countryside we were holding STS concepts like „invisible infrastructures“ (Star, 1999), „human-machine-interaction“ (Suchman, 2007) or „intra-actions“ (Barad, 2007) scribbled on small sheets of paper in our hands that should lead us in our discussions. The bumpy underground, the STS concepts and the personal stories of unknown researcher from different countries were inspiring ingredients to think about unconventional jobs in the future. We all agreed that there are new societal challenges that urge for new solutions that cannot be found only within existing institutional structures: Hidden political perspectives become louder in European and American countries and the new technologies have unprecedented implications: Navigation apps, search engines and other algorithmic tools shape everyday practices and labour on a small scale but on a large scale technological innovation has become an imperative on political and economic level, shaping contemporary society as a whole. Algorithms make decisions and split up societies into filter bubbles where everyone can spread or follow distinct thoughts rhizome-like on the internet. Software establishes new structures of being instructed, controlled and governed. Those new power and knowledge hierarchies have to be discussed publicly but there is still an enormous lack of communication strategies that explain opaque software processes to a democratic audience for a better understanding. But is it possible to turn an STS analysis of „invisible infrastructures“ into marketing or government strategies? Could product advertisement sound differently if it would be inspired by an STS understanding of „human-machine-interaction“? And: How much compromises are needed by getting engaged into economic and political structures with STS concepts in mind? The projects that were developed in the workshop went from an STS driven circus to interdisciplinary translators for companies or constructing get-together apps. All of the ideas had in common that they would bring together spheres and groups of people who are split up by any boundaries. They would use new technology but also well-known analog ideas to inspire new thoughts between them. Science and Technology Studies have largely elaborated analytical and conceptual tools for societal questions that could be transferred into the fields of software construction, data security, consumer protection and design of platforms for democratic participation. Regarding these ideas we found common role models or best practice projects like the city government of Barcelona who tries to implement new communication tools in politics, letting people participate by deciding online where to spend the public money first — restructuring public water infrastructures, a new swimming pool or computers for schools? In such a project new media becomes an experimental platform for a modern understanding of lived democracy. STS is known for creating problems and using mess and arguments to arrange and display structures in a different way, constructively redefining terms that were taken for granted. Not only in academia but also on the job market STS knowledge could help investigating new emerging question of shaping society and daily interaction or finding unexpected connections between interdisciplinary spheres: Making infrastructures visible for a larger public, finding terms between disciplinary boundaries, analyzing thought-provoking but understandable phenomena that tell something about society. Motivating people with your own ideas and searching for constructive structures that support your idea was one main recommendation that I took from the workshop. But „Join a union“ was another: There are already existing channels to make a change and look differently on society outside of academia. It seems to be a negotiation if oneself has to fit in a job description or if a job description has to fit in one’s own imagination. Jobs can be invented but they could also be discovered in unknown terrain by climbing over fences. What if the most radical invention we can suggest is for a job with stable employment? This was one of the questions and ideas to emerge out of the pre-conference workshop for doctoral students and early career scholars to “Invent your job.” This question exemplifies some of the challenges and tensions that wove throughout the workshop as we contended with the workshop’s goals to “think out of the box” and create and invent ways of doing STS-engaged practice beyond academia. Recognising our own desires to pursue STS as part of our future lives and careers, this question opened for consideration the necessary realities of sustaining ourselves now and in the future, in the context of contending values of competition and cooperation/collaboration. I applied to join this workshop with some trepidation. I was excited about the idea of meeting new scholars and about finding ways of doing anthropology and STS that are not bound by the structures of academia and academic career paths, which are also increasingly unavailable (see Figure 1). Yet, I also worried that the work of “inventing your job” repeated the kind of neoliberal admonishment that we should all become entrepreneurs of our selves (Foucault, 2008). The implication being, if we are only passionate, innovative, and entrepreneurial enough (which is never enough), we will succeed in life and opportunities will abound. The flip-side, of course, is that if we don’t succeed, then we just need to work harder, invent better, to create our jobs and place within the system. In many ways, these are common liberal and neoliberal refrains. My concerns dissipated as I met the organizer on the bus on the way to the University, and during the organized walk from the University to town. Everyone I met was friendly, engaging, and doing fascinating STS work on topics ranging from wine-making to co-living spaces. 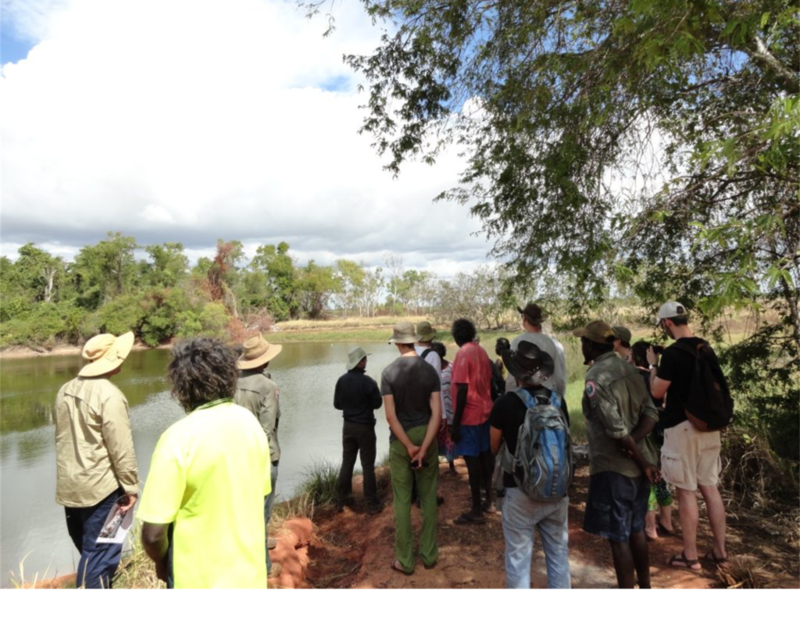 But the tensions in the workshop’s framing re-emerged after we sat down to lunch and to work more intently on a subset of job ideas from what we had developed during our walk. First, there had been planned presentations by two speakers, who would discuss their own experiences and creative job inventions. However, one couldn’t attend because of illness, demonstrating the contingency of our bodies and lives that works as a counterpoint to any notion of triumphant invention. The other presenter preferred to speak in small groups during the walk rather than present themselves as an authority on unconventional job creation, embodying an STS commitment to situated engagement and collaboration. We were also told that there had been much competition for participation in the workshop – that there were many students and early career scholars who wanted to attend but were not selected in order to keep the workshop size small. Similarly, one sub-group of workshop participants was meant to be voted for and chosen as “future-makers,” with their job descriptions published in the EASST review. There was little we could do about the first situation, which we had all consented to in applying to the workshop. However, participants also pointed out that publishing a single description inherently created a competition, with the elected future-makers in essence “winning” the job creation exercise and the opportunity for publication as the reward. The prize of a publication also further feeds into the glorification of citation counts and other metrics that work to reify and quantify our lives and selves. Here, however, some participants found an opportunity to intervene. After some discussion among workshop participants, it was decided that we would rotate between groups; as many of us wanted to discuss multiple projects, it would work against promoting a single project or idea, and there would be more opportunity for discussion among different people. Ultimately, everyone would have the chance to contribute to a final collaborative publication. As I rotated between the tables, and even as we were working to invent creative new ways of doing and living STS – through circuses, through visual practice, as translation, towards new ways of meeting, and as trouble-makers – a question that kept arising, was how do we make this practical? How do we make sure people actually will hire us? How do we fund this endeavor, and in a sustainable way? How do we make others see that this is useful and important? As we were trying to invent new careers – and futures – we were necessarily contending with the realities of sustenance and subsistence. In many of the careers and projects we developed, what was needed to enable and promote these exciting STS endeavours was indeed stable employment to support a kind of academic freedom where STS practitioners could translate, mediate, and stay with the trouble (Haraway 2016). At the same time, participants showed and embodied the small and meaningful ways in which we can live an STS life, by resisting forms of competition and glorification and instead promoting situated collaboration and active engagement with one another. Foucault, M (2008) The Birth of Biopolitics: Lectures at the College de France, 1978-79. Edited by Michel Sellenart. Translated by Graham Burchell. New York, NY: Palgrave Macmillan. Haraway, D (2016) Staying with the Trouble: Making Kin in the Chthulucene. Durham NC: Duke University Press. Speakman RJ, Hadden CS, Colvin MH, et al. 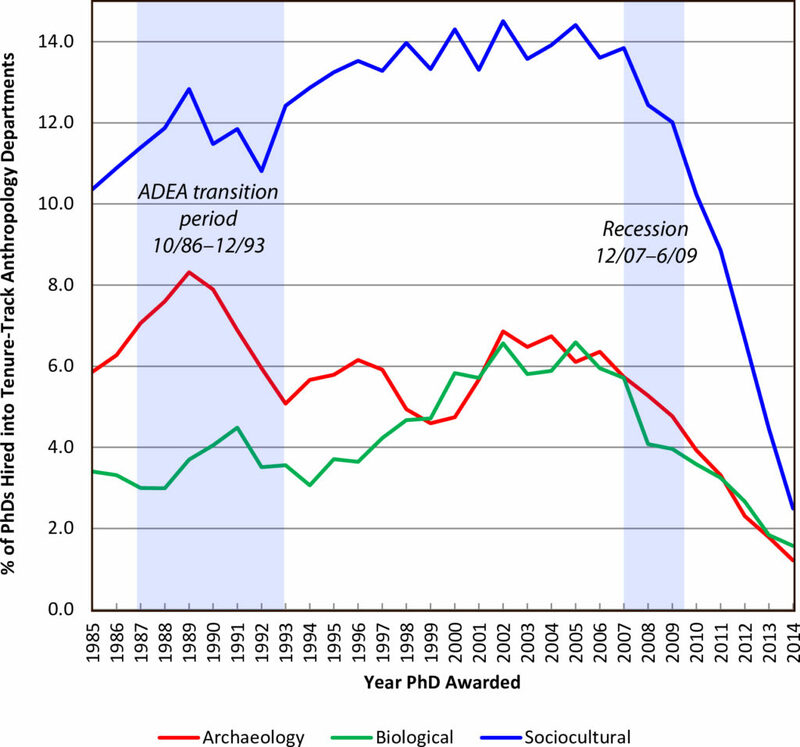 (2018” Market Share and Recent Hiring Trends in Anthropology Faculty Positions. PLOS ONE 13 (9): 10.1371/journal.pone.0202528. The stairs of Alex Square on campus were the meeting point for the EASST 2018 pre-conference doctoral workshop at Lancaster University. With the introduction round finished, a key motivation for attending to the workshop popped up more or less immediately: “we are going to be talking about jobs.” Indeed, the workshop was named “Invent your job.” It took me a little while to realize that I was not as moved by the theme itself as others peers might have been. As a first year PhD student from Spain who has just made the move into STS, I have enough to do just believing that this PhD makes some sort of sense. So more than the theme itself, I was drawn to this event as an opportunity to meet and learn from other PhD students or early-stage researchers. This short text gives me the chance to think through some questions that arose during this event. Such as how to invent new jobs for STS scholars? Also, what might such inventions say about the academic worlds we inhabit, and this pre-conference event itself? Our one-day journey began by ‘walking with concepts.’ Everyone brought some pieces of paper with some STS concepts written on them and we exchanged these papers between us as we began our walk to Lancaster city center. The pleasant weather and peaceful landscape helped to diffuse the uncomfortableness of ‘conceptual icebreaking’. Half way to Lancaster we were encouraged to redirect our conversation to ideas and proposals related to jobs. Once in Lancaster we broke up in a few groups to keep on working on our inventions. We had some fun, and came up with a few proposals. Several ideas arose around providing spaces, and people that would facilitate translation in higher education settings such as universities or research centers. These spaces might take the form of a ‘translation office.’ The translation services would focus on translating among disciplines, providing a service that would improve communication and multidirectional understanding. When thinking about this ‘job’ interdisciplinary research projects/groups or international scientific collaborations were presented to be the principal target. What would be the role played by the STS scholar in this type of office was discussed without getting to decide what the role(s) would be. A retirement-writing-house was also proposed, a mobile app to link research interests, and different jobs linked to institutional politics. However, the proposal that really sparked my interest involved opening up a film production cooperative. When I proposed this ‘job idea’ was mainly linked to generate ‘jobs’ that take advantage of visual materialities but also to encourage acting and thinking beyond written forms. This idea grew through collective suggestions such as organizing a film festival or designing audiovisual devices that would enact STS theoretical imaginary. Another fellow attending the workshop put forward an idea she had been thinking about, an ‘STS Circus” that would perform community problematizations and that would tour to several local communities. However, having talked all these proposals through, another fellow and I shared a similar thought: the proposals were not compelling enough for us. Instead, we started thinking about a theatrical figure ‘the disruptive’ to be included in several settings. We thought this character could be played by an STS scholar to bring about discussions and inquiries that tend to be silenced. ‘The disruptive’ could be played in all sorts of settings such as policy design meetings, city council assemblies, department reunions, job interviews, etc. After having presented above some of our ‘invented jobs’, I will finish sharing some thoughts about how the ‘inventions’ were crafted during the workshop. Almost all job descriptions were associated with a well-established STS concept such as mobile immutable, translation, boundary object, and so on. I think that there was an intention to draw such concepts back to our lives, taking them as devices that would make easier embracing invention and situating it. However, instead of drawing concepts into our everyday lives, I wonder now if we got swallowed up by those concepts. The ‘invented’ jobs, in general, were framed through futuristic lenses, figured within an ideal, dream-job, narrative. The majority of us did not approach our inventions as something you could start working on tomorrow, hence, embracing invention was implicitly linked with postponing action. Also, we seemed to be seduced by the prospect of inventing ‘dream-jobs’, and ended up inventing highly time-consuming jobs. Putting jobs at the center of our lives demarcated what could be thought to be invented, in fact, there were no proposals of 15h/week jobs, or even jobs that did not entail a long-term continuity. When inventing a job, we were at the same time reinforcing particular ‘regimes of living’ (Collier and Lakoff, 2008:23). So, while some of our inventions did not seem entirely radical, we did (literally) jump fences during the morning; when walking through several meadows, skipping trodden paths and avoiding cow dung. In fact, we drew on the narrative of ‘jumping the fence’ when approaching our inventive practices, considering and questioning it as an idealized phrase, such as thinking ‘out-of-the-box.’ Could we both ‘jump’ and ‘stay reasonable’ at the same time? I am approaching this ‘staying reasonable’ in relation to the “uses of use” of Sara Ahmed (2018 and upcoming) that is illustrated by the sentence: “the more a path is used the more a path is used.” Perhaps mobilising clichéd concepts to ground our invention, pushed us to leave unattended other, more surprising, openings our experiences and imagination often open up. As noted before, this reflection does not speak about what should have been done, but to think about what we did in failing to do it otherwise. This reflective exercise guides the main question that has stayed with me after the workshop, how could we learn to invent the worlds we wish to inhabit? I want to thank Dara Ivanova for organizing the workshop and all the attendees for sharing such an intense day! Ahmed S (2017) Living a Feminist Life. Durham: Duke Press. Ahmed S (2018) Refusal, Resignation and Complaint. In: feministkilljoys Blog, 28 June. Available at: https://feministkilljoys.com/ (accessed 4.9.2018). Collier S and Lakoff A (2008) On Regimes of Living. In Ong A and Collier S (eds) Global Assemblages: Technology, Politics, and Ethics as Anthropological Problems. Hoboken, NJ: John Wiley & Sons, pp. 22-39. What should be the main purpose of a Conference? What should be the main purpose of a Conference? Perhaps to make our work known, or to discuss it with others? Or even, if lucky, trying to extend the limits of the apprehensible? I think it is essential to keep these questions in mind when we scrutinise how a Conference format makes us relate with one other. As a young scholar, the mere fact of receiving an acceptance e-mail from a senior researcher, telling me that my paper proposal made sense, and encouraging me to take part in a specific panel was a gift given before the big event. The possibility of sharing my paper, for the first time just by myself, felt like an achievement. The challenging task of preparing the right slides already gave me the feeling that I could contribute in an on-going discussion. The excitement of every previous step is something you feel in your bones. Fast-forward into the future: and here I am, in Lancaster, the expected crucial moment of the Conference has finally arrived. After enjoying two sessions of profoundly embodied discussions around Feminist Figures, my time to share the results of many months of work has come. With noticeable anxiety, I start talking about ontology, ethics and ecology, about shared worlds and speculation, about the doors that the closing of a PhD thesis also opens. Applauses ensue and I shyly walk back to my seat. As agreed, questions are going to be asked at the end, after all interventions have been presented, hence allowing a closing discussion of the whole panel. After my presentation, I try to focus on the last paper presented: a fascinating exploration on the spherology of feminisms presented by Amanda Windle. Once done, the time given to weave our arguments with other presentations finally arrives. I take a chair, a pen, a notebook, and I glance into the crowd, nervously. The general discussion opens up with a question regarding a paper telling several stories of ecofeminism (Moore, 2015), closely related with Starhawk’s argumentations, presented on the plenary of the previous day. In a beautiful answer the presenter discusses how theory and practice are born in the same soil. The second question is partially related to the first one, but this time addressed to another speaker, Joan Haran, who wonders about the possible world configurations that the Spiral Dance (Starhawk, 1979) can enact. One time and another, through every single question, an exciting conversation unfolds, materializing some of the statements given the day before in the plenary session. The panel discussion presents lovely shades of these arguments, which I enjoy as a spectator, without taking part. Once the session closes, I ask myself: why haven’t I taken part in this conversation? I conclude that perhaps it’s just me, but that it is not such an easy task to get involved in the discussion of a particular panel. It might be tough to explore a new field of study where you do not know the exact conversations the convenors are looking for. In addition, I also consider that the format can also be an obstacle for new outside voices wishing to take part in a conversation. In the next days, these open questions reverberated throughout the Conference. Progressively, I came to believe that I was not just wondering about possible Conference formats that could enable young scholars to actively take part and enrich conversations. What is at stake, I think, is mainly how we want to relate to one other. What becomes centre-stage are the ways in which we might want to deploy academic or scholarly care, in order to cultivate “a speculative commitment to contribute to liveable worlds” (Puig de la Bellacasa, 2011: 100). During the Conference, I really felt that STS succeeds in practising this kind of commitment in the critical ways in which manifold situations, topics, and events are explored. Other panels I attended, such as “Intimate entanglements in science and technology” (Lopez and Latimer) and “Of other landscapes” (Danyi and Spencer), indeed brought strong examples of it. Nevertheless, even though STS succeeds in attentively caring for our particular objects of study, I think we should also deploy the same care for the ways we relate to each other. I believe the speculative commitment Puig de la Bellacasa asks for would make us go beyond asking questions in the end or right after each presentation, rigorous time control or kind answers. This speculative commitment addresses the very soil, the grounding of our meeting formats where new practices may be born. Attending and wondering about those ecological conditions to materialize care (Puig de la Bellacasa, 2017) would be beneficial not only for those who are already on our first steps, but for our STS community as a whole. So, in conclusion, I ask again: What should the main purpose of a Conference be? If I have learnt something in the process of obtaining a PhD, it is that we have to become attentive to the sensibilities embedded in the practices we share, to place the ethical wondering in the foreground. Could a Conference also be an opportunity to experiment with new ways of practising scholarly or academic care? 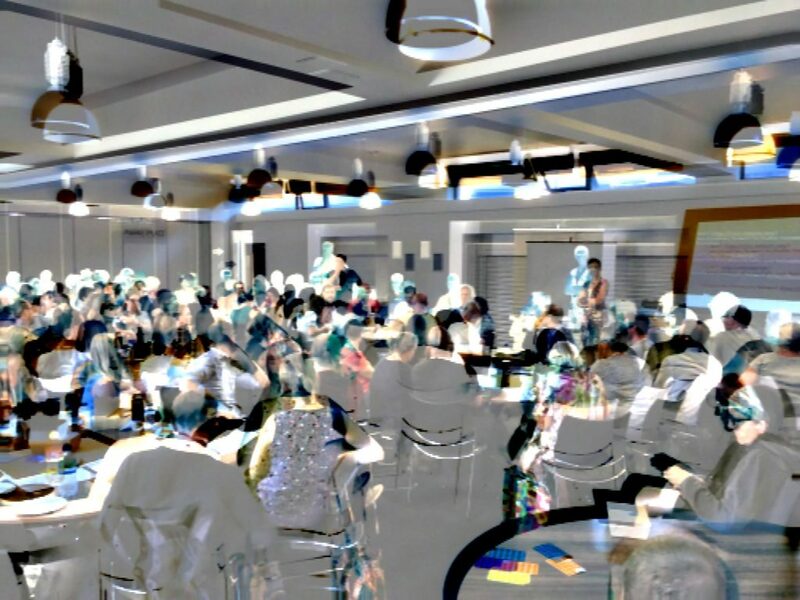 Could we imagine innovative formats allowing more liveable Conference experiences? Then, how can a Conference become the soil, the grounding where new forms of caring for each other may be born? de La Bellacasa, MP (2017). Matters of Care. Speculative Ethics in More Than Human Worlds. University of Minessota Press. de la Bellacasa MP (2011). Matters of care in technoscience: Assembling neglected things. Social studies of science, 41(1): 85-106. Moore N (2015) Eco/feminist genealogies: Renewing promises and new possibilities. In Phillips M and Rumens N (eds.) Contemporary perspectives on ecofeminism. Routledge, pp. 35-53. Starhawk (1979) The Spiral Dance: a Rebirth of the Ancient Religion of the Great Goddes. United States: Harper & Row. Why should a Master’s student go to EASST conference? When in Lancaster, I could not fail to notice that there were not many Master’s students attending the EASST conference. In the text below, I outline why I think Master’s students should attend conferences such as EASST. I write about meetings with people I would never had the chance to interact with, but also about the process of finding one’s own personal interests in the STS archipelago. Finally I reflect on the restrictions Master’s students might face and how reflecting on them and creating the space for students to participate will be beneficial for STS as a field. Why were there so few Masters students attending the EASST conference? That was a question which I kept coming back to while in Lancaster. A week after the EASST conference, while discussing with a postdoc about my experience there, he mentioned that when he was a Master’s student he never attended such a conference simply because he did not see himself as part of the community. Giving a consistent answer to why Master’s students don’t attend the conference would be beyond my scope, but drawing on my own personal experience as a Master’s student at the EAAST I explore the reasons why I believe Master’s students should attend the EASST conference and touch upon the practical issues that might restrict them from doing so. 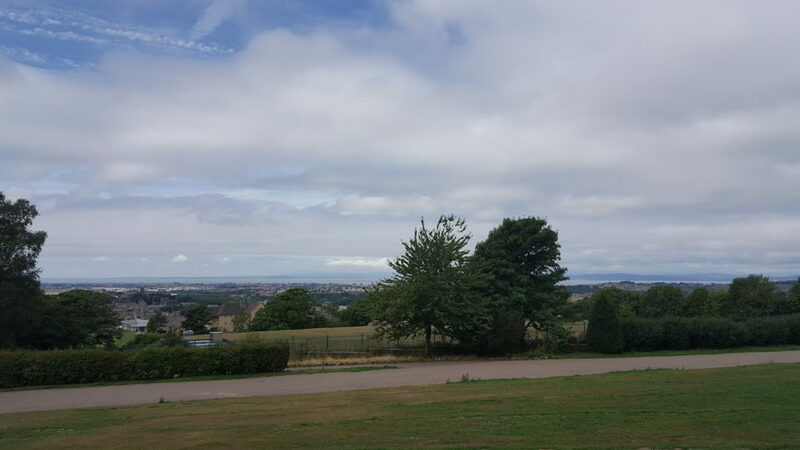 It’s 10 a.m. on Wednesday, 25th of July, and I am in front of Lancaster University’s Catholic Chapel where a group of people are gathering for the ‘Meeting Soil’ excursion. The registration desk is not open yet so no one is wearing name tags. 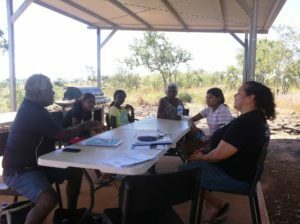 As we head to the Ecohub garden and the permaculture grounds we are asked to communicate in small groups about who we are, why we are here, but also how we feel about being there. I was excited! What a great conference opener, meeting new people in a garden just to talk—first names only, not much academic talk, just talk. I mention to those I am with that I am based at Vienna University. Someone else remembers that she attended an EASST conference in Vienna back in 2000, where, after an excursion to the anatomy museum, she was on the same bus with Donna Haraway and Susan Leigh Star. Her tone was excited as she shared her memory. Later in the afternoon, I am sitting in a panel discussion. In front of me are my own STS heroines and heroes, many of whom who I know only by reading their name tags. I was enthused. I had read their work in my first semester, so I felt I knew them a little. The feeling was great, but I didn’t get to speak with them. On the other hand, I spoke to many other people whose work I had never read. I spoke with a person who is teaching design students, a librarian from Mexico and a PhD student who is doing fieldwork in India. At these conferences, there are many people whose work you have read in your studies, and they become important to you. I was looking forward to seeing them, and listening to their talks; but I realised that the conference wasn’t only about this. It was also about all the other spontaneous meetings you would never otherwise have had. All the people you wouldn’t have heard of or talked to otherwise. The moment I got in my hands the conference programme I felt overwhelmed. SO MANY PANELS! Who should I see? The programme was 300 pages long and I needed to make decisions quickly. This pushed me into a filtering process. It was a practical question; I couldn’t go to all of them. I had to choose. This process of filtering invoked a reflection on my own interests, forced me to explore them and to ask myself: which panel will you go to now? It helped me to reflect on my own research and what I feel connected too, but also what other areas I am interested in. I left the conference with a sense of security around what I want to pursue (at least in the near future). It functioned as a filter through which I became more focused, grounded and content. In the past, I have had many discussions with other students about our academic paths. STS offers so many interesting avenues of study that, when choosing a Master’s thesis topic or a PhD topic, it is easy to feel restricted by the need to pursue just one topic. There is a loss involved when you are interested in so many things, but have to choose just one. At least, this is a feeling that I have had many times. For me, the conference offered a space where I could navigate my several interests and get the chance to explore them further. I got to hear talks and discuss them with people, see what they are currently working on, understand if I could see myself researching these topics and approaches. Of course, while there are many good reasons why Master’s students could benefit from conferences such as this, there are also a number of reasons they might not be able to do so. These days, being granted a visa can be a problem faced by academics, Master’s students included. From personal experience, I know at least one person who couldn’t join this conference due to visa issues. Finance can also be a considerable barrier. Are both Master’s and PhD student’s considered to be in the same category when fee reductions are considered? PhD students often get funds to go to such a conference whilst Master’s students don’t; so categorizing these groups as the same may disadvantage Masters students. These comments are offered as food-for-thought, for practices of inclusion. My suggestion here is that Master’s students have much to benefit from attending such conferences, just as STS has to benefit as much from such students being there: helping to build community, challenge traditions and create new spaces for an expanding STS. The theme of this year’s 2018 EASST conference in Lancaster University was ‘Meetings – Making Science, Technology and Society together’. Coming from a technical university and with an engineering background, this was my first encounter with a large conference in the social sciences, so the theme ‘Meetings’ was exceptionally relevant. 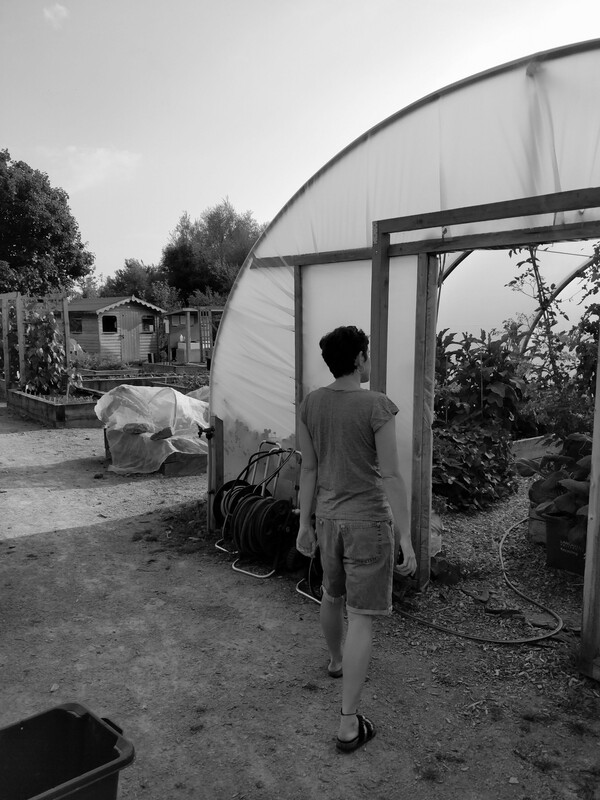 It all started with ‘Meeting Soil’, a walk in the university Eco-Hub gardens, part of the ‘Edible Campus’ project, where students practice Permaculture and organic gardening. I felt at home here, as I have been practicing Permaculture for some years in grassroots projects in Greece (School of the Earth) and have just started a Diploma with the UK Permaculture Association. Meeting participants of the conference in the middle of a vegetable garden was something that I had never experienced at any of the engineering conferences I have previously attended. The ‘Meetings’ inspired by the conference title appeared even more promising following this warm and heartily welcome, while the interdisciplinarity of the encounter echoed in very familiar ways. 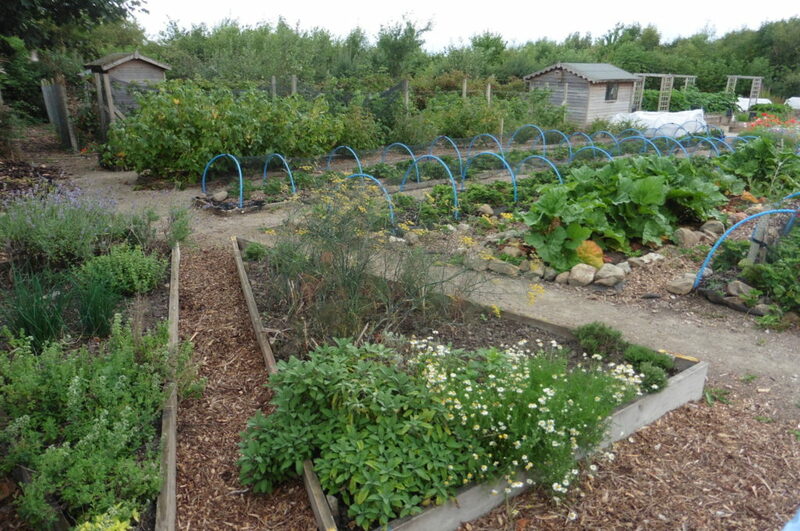 A key Permaculture design principle is to ‘Use the edges and value the marginal’. According to David Holmgren, one of the fathers of Permaculture design, ‘the interface between things is where the most interesting events take place. These are often the most valuable, diverse and productive elements in the system’ (Holmgren, 2002). These are the spaces were elements with diverse origins meet, and these meetings create new elements and functions in systems. They create diversity and resilience, not only in a biological sense, but also in a social. In a similar way, this conference was an attempt to create more edge, more surface for interaction between sometimes radically different elements. It was an attempt to create and also to sustain diversity. The work I brought with me to share in this conference was all about sustaining diversity. 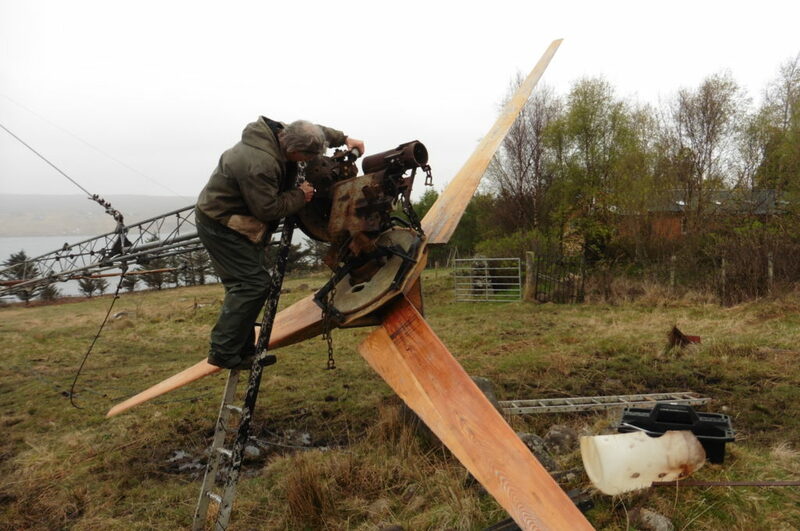 It was about sustaining the sociotechnical diversity of machines (in this case small wind turbines) and their makers. As well as sustaining the long-standing farm traditions of tinkering and tweaking, that produce intimate human-machine relationships between humans and the machines they repair. 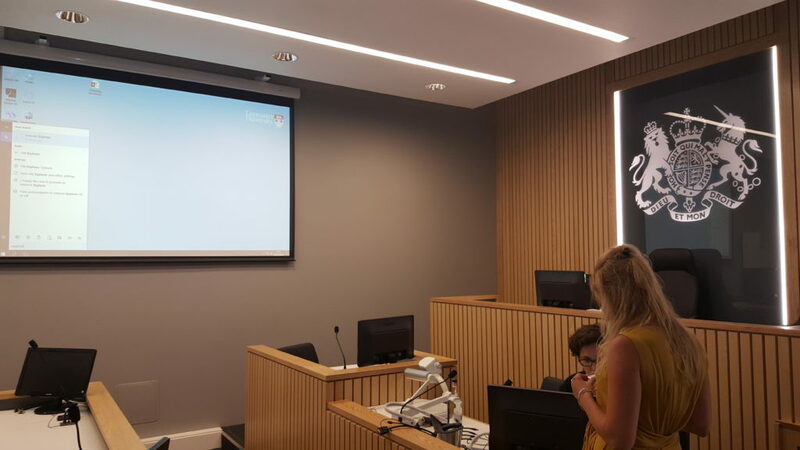 The session in which I was presenting, B07 ‘Situating Design’, was convened by Yana Boeva (York University) and Peter Fuzesi (Lancaster University). The presentations sparked lively discussions on themes such as ‘Who gets to situate design?’ by Nicholas Torretta (Umea University) and his colleagues. They advocated for the need to listen, learn and love during the process of designing, and this concept of intimacy in design echoed in a very coherent manner with the precarious engineering culture (or design style) of ‘Makeshift Engineering’ which I discussed in the session. 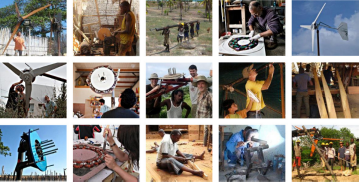 The engineering culture I have been studying as a researcher, but practice as a producer of locally manufactured small wind turbines (Kostakis et al., 2016), exists only in relationship to an intimate web of encounters between humans, machines and other non-human worlds. A crafts-based (Sennett, 2009) engineering design ‘process’ – or attitude – that allows for thinking-while-making or designing-through-use (Brandes et al., 2009). Further discussions in the sessions on how intimacy between humans and machines can be created through acts of mending and repair (Denis and Pontille, 2014) provided useful insights, along with the comments of Sampsa Hyysalo (Aalto University) on the Biographies of Artifacts and Practices, and his work on local innovations on mobility in Siberia with Svetlana Usenyuk (Aalto University) (Usenyuk et al., 2016) which had provided great inspiration for me in the past. Further insights were brought to light from several other sessions and presentations, such as the idea of ‘stabilized instability’ in hacker tournaments by Marcin Zarod (Kozminski University) which echoed with the on-the-fly technical solutions put together from users of locally manufactured small wind turbines in the face of a failure. 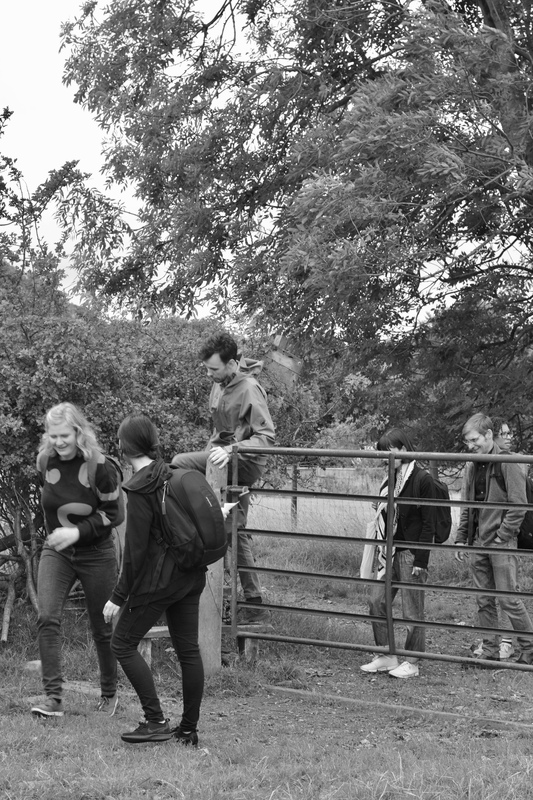 Ideas on how research and development in technology can be democratized were brought to light through the experiences of Willow Leonard-Clarke (Cardiff University) in the Lammas Ecovillage in Wales. 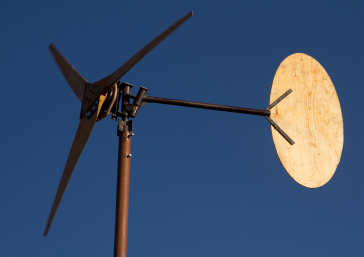 Just like with locally manufactured small wind turbines, other locally sourced and natural materials (e.g. clay for building), empowered users by supporting techniques that allowed for experimentation and further learning. This was in contrast with industrial materials such as concrete that require a laboratory if experimentation is to happen. Concepts of ‘Radical Technology’ (Harper et al., 1977) were once again revisited, opening up possible futures of sustainability and social equity. Meetings such as these, bring one closer with others who share similar passions. In our ‘response-ability to mend,’ as Jonnet Middleton (Lancaster University) proposed, we come together as kin, and ‘shape possible alternative worlds of our own (re)configuring’ within the dominant order. With such kin we met in Plenary No2 ‘Meeting Energy’ with activist Kelly Gillian who participates in direct non-violent action campaigns against the fracking industry near Lancaster, and in Plenary No3 ‘Meeting Machines’ with Sampsa Hyysalo (Aalto University) and Robin Williams (Edinburgh University) and their work on the Biographies of Artifacts and Practices approach, as a practical tool for STS scholars (Hyysalo et al. 2018). Looking back at the EASST 2018 conference, I am left with a sense of a warm welcome, the excitement of the discovery of many generative edges, and a feeling of kindred. Thank you all for making this happen! As the final program of EASST 2018 was published, it promised to be an exciting opportunity for a close engagement with STS scholarship in Germany. 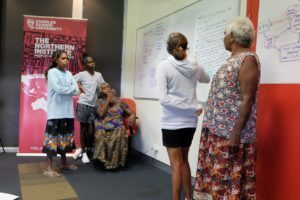 A pioneering group of researchers from around the country had secured a lunchtime spot at the Marketplace to discuss the need for a new method of anchoring the STS community. At the time of handing in my own paper, I had just joined the first cohort of Master’s students of a new STS program at the Goethe University Frankfurt. While the productive outcomes of the STS Germany meeting – attended by over 110 people – has already been documented online,1 I would like to draw attention the importance and benefits of such a new platform. Hence, for this afterthought contribution, I draw on the discussions I had as a participant and young scholar just starting to navigate STS from Germany and the United States. Importantly, the lab provided opportunities to engage collaboratively with students, faculty members, and external participants. The former included workshops, reading seminal works in STS, and engaging classes, with the introductory course “STS for all” being a unique highlight. In one instance, it was taught in rotating fashion by a group of six faculty members from the departments of Sociology, Computer Science, and Human Geography. Moreover, the lab hosted a series of lectures that showcased the work of both national and international scholars. From the student perspective, the lab provided a platform from which to figure out the boundaries of STS and enable conversation with more established disciplines, such as Media and Communication studies, which I majored in. Given this configuration, it was much easier to integrate STS approaches into my own research projects with confidence. With the emergence of different STS programs in Germany in the background, the lunchtime meeting threw into stark relief the lack of an overarching body to unite them and communicate amongst them. To guide the discussions on the contours of such an institution, several STS scholars were granted the opportunity to represent groups already in existence. As Niewöhner summarizes in his report, many are long standing associations, such as the German Society for Science and Technology Studies (GWTF), or are catered towards younger scholars at the edges of various subjects, like the Interdisciplinary Network for Studies Investigating Science and Technology (INSIST). Eventually, the discussions at our table pointed out the fine but significant differences of these existing organisations, based in their diverting definition of STS, gender politics, or attention to disciplines beyond history and sociology. (See, e.g., https://twitter.com/outputin22/status/1022467253210689539 ) Back in Frankfurt, I surely found myself in great company at the monthly Frankfurt STS Kitchen meeting4 and in vivid discussions with my cohort. Yet, I also felt the need to scale up such opportunities for collective thinking. From the perspective of a novice scholar, there are plenty of reasons to motivate this. Of greatest importance to myself were the larger intellectual task of determining the direction of STS in an inherently interdisciplinary course environment; the drive to experiment with collaborative forms of research; and laying the foundation for possible career paths in and outside of academia. Despite a diversity of ideas on how to proceed with the design of such an institution, for example what is meant by ‘open’ or ‘network-like‘ structures, its international direction was undisputed. In discussing the outcome of the meeting with friends and colleagues, I was quick to correct myself when I referred to it as a ‘German STS’ meeting, rather than a meeting concerning ‘STS in Germany’ more broadly. The need to make future STS scholarship accessible for a broader audience is already palpable given that most of the programs mentioned above are taught in English. Thanks to a Fulbright scholarship, I am able to complete my Masters degree alongside other graduate students within the STS community at the University of California, Irvine (UCI). To a substantive degree, this opportunity to build bridges between the universities arose through the connections I fostered years ago as an active member of the Bremen NatureCulture lab. When asked about STS in Germany, I can now point to visit the DESTS website and join its mailing list, where future steps are meant to be discussed.5 Once again, I find myself drawing links in yet another Cultural Anthropology department where STS presents a growing emphasis. At the same time, I am immersing myself in innovative projects at UCI, which could lend inspiration to the formation of an STS network in Germany. One outstanding example is the Platform for Experimental and Collaborative Ethnography (PECE) conceived by Kim and Mike Fortun, which offers a range of possibilities to bring scholars together. On the one hand, I am using its features as part of a student research group on toxicity, vulnerability, and ‘late industrialism’ in Southern California. There, we use an instance of PECE – the Disaster STS network – to discuss and archive our findings.6 On the other, I learned that the Society for the Social Studies of Science (4S) runs their own instance as an independent archival, publication, and work space.7 Examples include digital posters that serve to represent ongoing STS research in Irvine, Turkey and ‘Across Borders’.8 As an open source project, PECE is under constant development, but also attentive to the shifting politics of publishing, (qualitative) data management, and forms of collaboration. Experimenting with such an ‘instance’ could be a worthwhile experience for figuring out another STS network in Germany. Ultimately, it shares a goal that was articulated at the lunchtime meeting: solidifying the STS community and making its scholarship relevant for audiences beyond its own confines. I want to thank Saira Khan and Sabine Biedermann for proofreading and comments. I also thank the EASST council for financially supporting my attendance at the 2018 conference in Lancaster. 2 See http://naturenkulturen.de for meetings, recorded lectures, mailing lists and affiliated blogs. 8 See http://stsinfrastructures.org/content/posters-sts-anthropology-university-california-irvine for research at UC Irvine, http://stsinfrastructures.org/content/posters-archaeology-sts-turkey for an ‘archeology’ of STS in Turkey and the exhibit ‘STS’ Across Borders http://stsinfrastructures.org/content/posters-sts-across-borders.